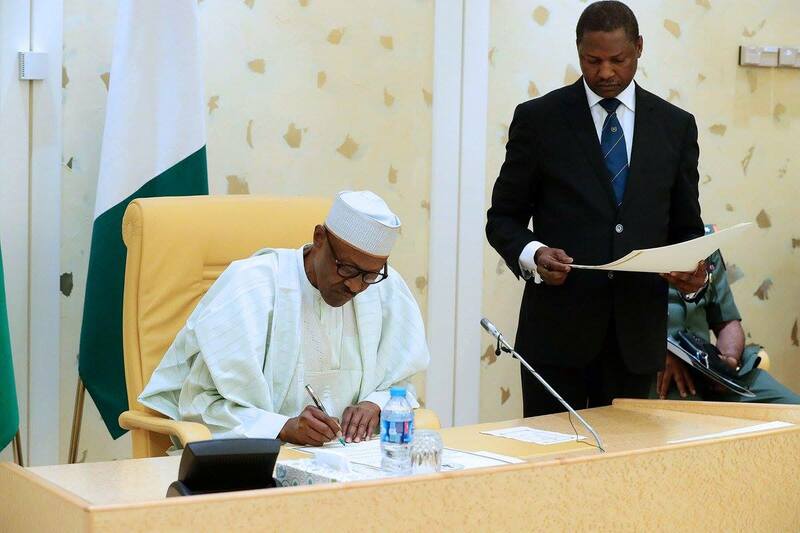 President Muhammadu Buhari on Friday pledged to remain faithful to his principles of accountability, honesty and social justice as he strives to take Nigeria to the next level. The president made the promised when he received in audience the representatives of his various support groups from across Nigeria and in the Diaspora, who were at the Presidential Villa, Abuja, on a solidarity visit. Buhari, who spoke on his integrity, promised to keep to his principles towards sustaining the growth and development of the nations economy as well as enhancing the welfare and wellbeing of the citizenry. He said: If I didn't stick to my principle of accountability, I would have been in trouble by now and I have no regrets. Everybody wants to be comfortable but the most important thing is to live within your means and bear the consequence. The president, who frowned at the way and manner the nations resources were looted by dubious individuals and organisations under the previous administration, maintained that only God could punish those who abused public trust and looted the country's resources. He noted that in spite the huge revenue generated during the 16 years of the Peoples Democratic Party (PDP) reign in the country, there was no tangible infrastructural facility to show for it. He also observed that despite the huge revenue generated, the last time major roads were rehabilitated in the country was under the late Gen. Sani Abacha regime. According to him, the rehabilitation works were carried out through the defunct Petroleum Trust Fund (PTF), under his leadership. 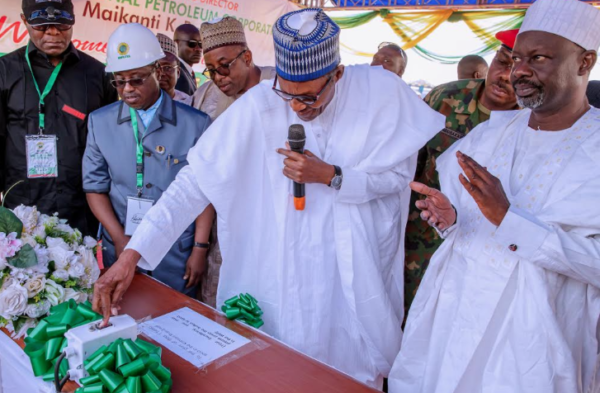 Buhari added that under the PDP regime, crude oil sold for 100 dollars per barrel but regretted that the revenue generated was not invested on infrastructure. Only God can give them (treasury looters) punishment but those we can touch, we will get them prosecuted. We have said property confiscated should be sold and the money put into the treasury. We will use it for infrastructural development, he said. In his remarks, the spokesperson of the Various Support Groups, Mr Mahmud Mohammed, said they were in the state House to not only update the President on their activities so far but to restate their commitment to effective mobilisation and sensitisation of the electorate for the Feb. 16 presidential election. While using the opportunity to chronicle what he described as the giant strides of the Buhari presidency in security, economy, education, infrastructure and the unprecedented war against corruption, Muhammed maintained that sustaining the change agenda was critical to Nigeria's future. Groups Mourn, Advocate Justice For Victims Of Violent Killings Across Nigeria.